Although she knows how to close a deal, Donna Augello’s top priority is making her clients feel heard. “I am a people person,” says Augello, a Realtor with Harry Norman Realtors since 2005. “In this industry, you must be able to listen and process what your client is telling you, or better yet, what they are asking you.” Instrumental to her success is the ability to put clients’ needs first. Ranked among the top 1 percent of agent’s companywide and a top agent at her office, Augello assists buyers, sellers and many relocation clients in Metro Atlanta. Named Agent of the Month several times this year, Augello is a Lifetime Member of the Atlanta Realtors Multi-Million Dollar Club and a recipient of the coveted Phoenix Award. 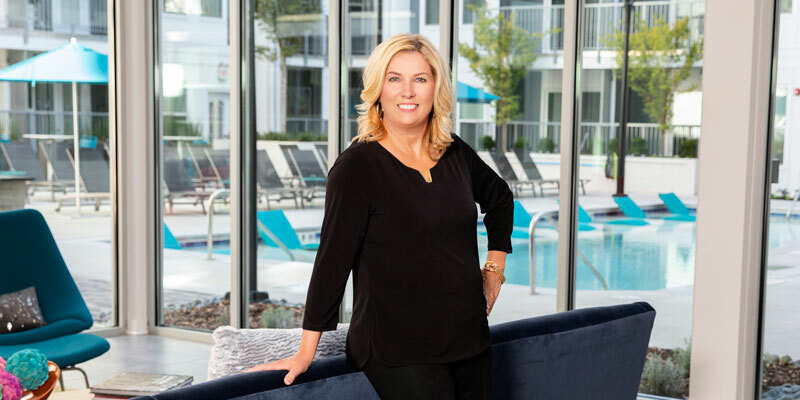 She has also earned the designations of Accredited Buyers Representative, Certified Luxury Home Marketing Specialist and Certified Short Sales and Foreclosure Resource. “Last year, we closed 68.5 units at nearly $30 million,” she says. “Closing that many transactions in one year means a lot of late hours, sleepless nights and missing family functions.” This year, she added team support staff, for a healthier lifestyle and to better serve clients. Before transitioning to real estate, Augello had a 17-year career in the beauty industry that included owning and operating a thriving salon from 1995 to 1999, an experience that gave her the confidence needed to negotiate and close real estate transactions. Clients particularly like that she is an Atlanta native, which gives her a leg up with networking and connecting buyers to specific communities. They also appreciate that she uses cutting-edge technology to ensure their properties are the most visible online. Plus, she takes inspiration from HGTV when staging homes. “I have a storage room filled with staging items that we can pull from at any given moment,” she says. Clients frequently praise Augello’s communication and marketing skills, along with the qualities that have helped her build a successful business based primarily on referrals: commitment, compassion and trustworthiness.